Per a 2016 report, over half of the states in the Union fall under high risk in terms of the likelihood to collide with a deer. 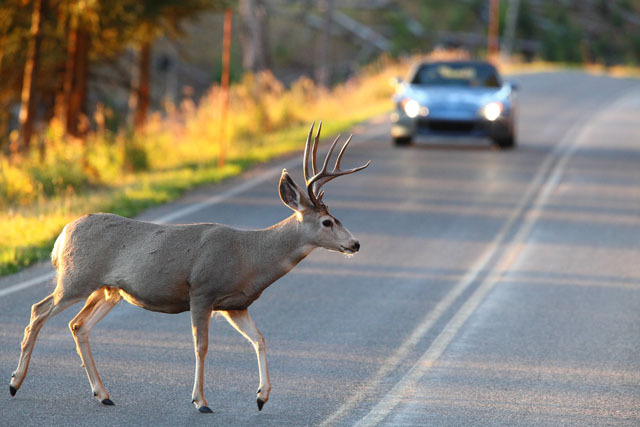 October – December are peak times for deer-related vehicle accidents. While deer-related accidents can occur any time during the year, with 1.34 million animal collisions reported in the US in 2017, the likelihood of colliding with one during the autumn months more than doubles due to deer mating season. 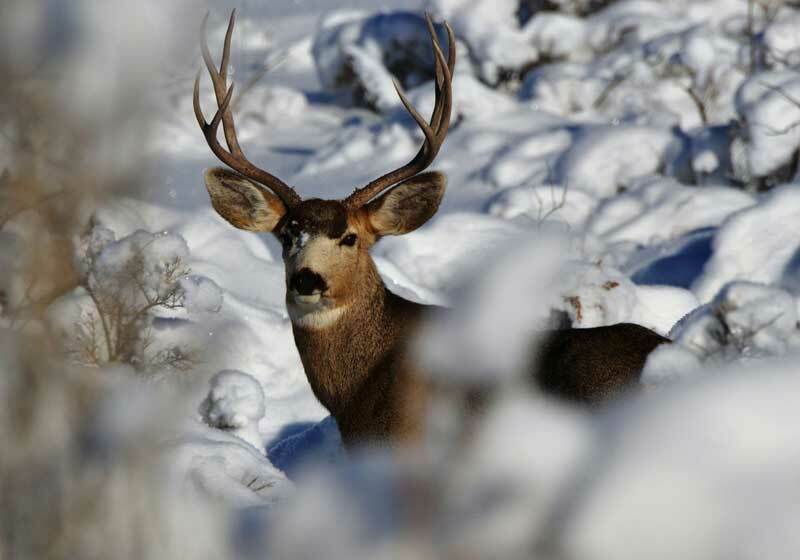 Utahans face a 1 in 150 chance of a deer-related vehicular incident. As temperatures continue to drop, deer movement will become more frequent as they migrate closer to roads and residential areas where they forage for more accessible food. Keep your eyes on the road. It might sound obvious, but this basic rule is essential to safety. Keeping your eyes on the road can also help scan for animals ahead. Most animal collisions occur in the front of the car, so looking ahead down the road will help avoid a collision. Pay attention to posted deer crossing signs; these are placed in areas known for high deer traffic. However, remain alert, as deer may appear anywhere. Be especially attentive during commuting hours. Deer are the most active between 5-8 am, and 5-8 pm. 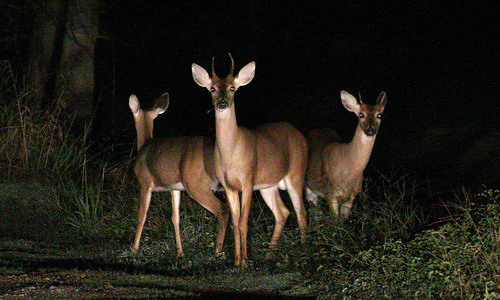 Although deer can be active any time of the day, the majority of deer-related car accidents occur starting at dusk and during the evening. Use high beam headlights. High beams are recommended for use at night and can help widen your range of visibility while driving in the dark and can help to spot animals sooner. If you see a deer far ahead, flick the high beams on and off multiple times. Deer tend to fixate on headlights, so flashing them may cause the animal to scurry away. Ensure that you dim your headlights when there’s oncoming traffic; high beam headlights can lower visibility for drivers facing the lights. Where there is one deer, there are likely more. Deer tend to travel in large herds so if you spot a deer, make sure there aren’t others nearby that could collide with your vehicle. This can be done by honking the horn to scare animals away. Brake firmly and stay in your lane. If colliding with an animal is imminent, it’s safer to brake firmly and stay in your lane than it is to swerve. If you think you have time to avoid hitting an animal, reduce speed, tap the brakes to warn drivers behind you, and sound your horn. If there’s no vehicle close behind you, break hard. If a collision seems inevitable, don’t veer off to avoid the animal. Swerving can result in colliding with oncoming traffic, an object on the side of the road, or can cause your vehicle to roll. Stay in your lane, even if it means you will it the deer. The consequences of swerving can be far more dangerous, or even fatal. Always wear a seatbelt. Most injuries in animal collisions are a result of not wearing a seatbelt. One of the easiest ways to avoid injury if you do hit a deer is to make sure your seatbelt is properly buckled. Additionally, obey the speed limit and practice defensive driving tactics. Whenever possible, consider preventative measures. Korby Siggard, UCIP’s Claims Manager, reported that Duchesne County outfitted their police patrol cars with cattle guards. Although the guards cost approximately $1,000 apiece, this preventative measure was considered cost effective taking into account that UCIP’s deductible is also $1,000. Since installing the cattle guards, Duchesne County has not had any reported incidents of deer collision. If you hit a deer, move your vehicle to a safe place, if possible. If you can, pull over to the side of the road, and turn on your hazard lights. Do not approach wounded animals. Wounded animals can be unpredictable and may cause injury if approached. Call the police or animal control if a wounded animal is blocking traffic. If the collision results in injury or property damage, you will need to fill out an official report. This can prove useful when filing your claim with UCIP. Document the incident by taking photos of the roadway, your surroundings, damage to your vehicle, and any injuries you or your passengers sustained. Plenty of photos will help make your claim easier to process. If witnesses stop, take down their account of what occurred, and ask for their contact information. Utilize the UCIP Accident Reporting Kit. Don’t assume the vehicle is safe to drive. Double-check that your car is drivable after colliding with a deer. Look for leaking fluid, loose parts, tire damage, broken lights, a hood that won’t latch and other safety hazards. If your vehicle seems unsafe in any way, call for a tow.